Samsung's ME18H704SFS 1.8 Cu. 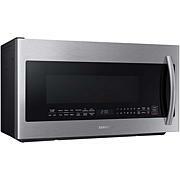 Ft. Over-the-Range Microwave, in stainless steel, combines 1000W of cooking power, a powerful 400 CFM ventilation system, and two-stage programmable cooking. The Sensor Cook features does the thinking for you, ensuring soup, leftover pasta, or frozen dinners end up cooked perfectly every time, while options like auto defrost and sensor reheat are great for creating meals from scratch. The filter's convenient, easy-to-access location makes it simple to eject with a single touch and helps you remember to clean the filter. 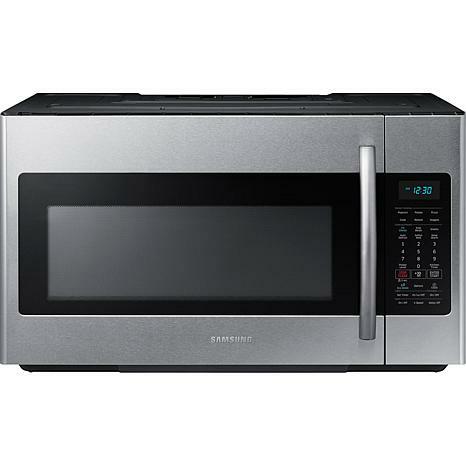 Plus, this microwave is scratch-resistant and easy-to-clean; the durable ceramic interior provides a polished surface to wipe down and the exterior's coating protects against scratches from everyday use. Additional helpful features include the clock with Daylight Savings adjustment, kitchen timer, child lock, and halogen cooktop lighting. Or... that's what I would have said, except it came all damaged - probably from warehouse - Waiting for return label to send back - hoping the other one that should be coming is in proper condition- it's always a gamble! So strange they send you damaged merchandise?!? Glad I chose this size, and I love the darker interior/looks like inside of oven. No problems with it. Great microwave! Looks Great too!! This microwave is exactly as described. I gave it 5 stars because it is exactly as described, and once installed it is perfect. Very roomy, and the extra shelf inside is a feature I wanted. So far it works perfectly we haven't cooked anything large yet.The only down side is the directions could be a little clearer, but lucky for me my husband is very handy and installed without a hitch. He did put some extra screws in the mounting plate. 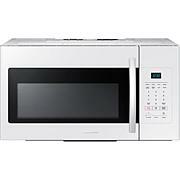 The ones that came with would probably hold it fine, but for the price of 3 or 4 extra screws why take a chance.It's a beautiful microwave I would recommend this to anyone. Just remember you are going to need a little skill and muscle if your installing yourself. 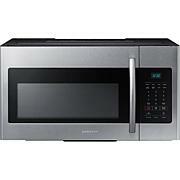 I love this microwave. 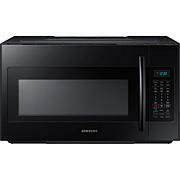 My Whirlpool microwave was loud, but with the Samsung I don't have that issue. It heats up faster and looks nice. Thanks HSN.